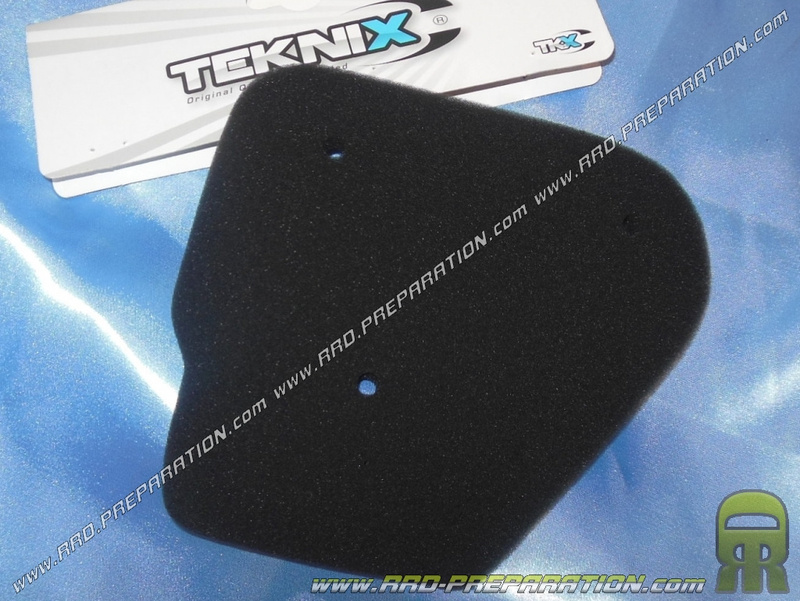 A foam quality, ideal for rehabilitation at a good price of your original air box. 3,00 € 3 tax incl. The best way to prepare your scooter is sometimes to prepare its original air box with a filter replacement foam. Indeed, it will be much quieter than a horn and takes less water, dust and other foreign bodies .... And above all you will have a large reserve of air. 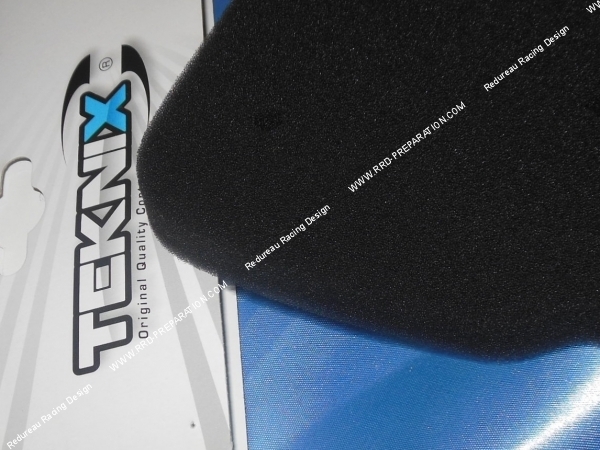 With this TEKNIX foam, your engine will take more air so more performance. Mounts on motor scooter MINARELLI / YAMAHA Horizontal such as MBK Nitro, Yamaha Aerox, Ovetto, Neo's ... and many other models. this mouse echo the same dimensions and characteristics as the original foam. uncompressed thickness 13mm. You will find here cleaners and spray oils air filter.